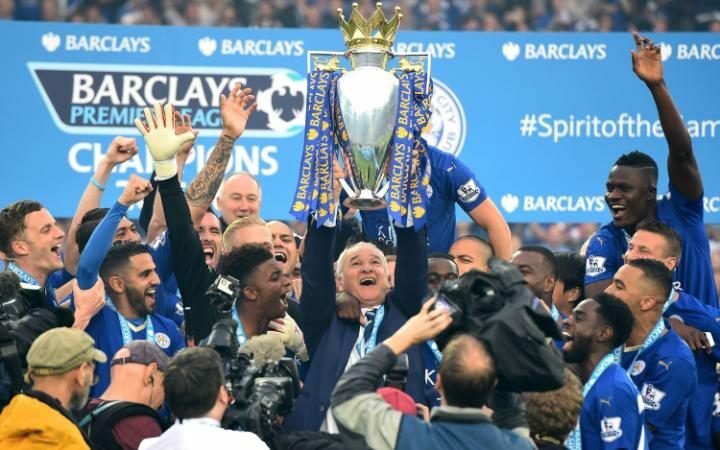 Although I am impressed with Leicester City winning the Premiership – purely because I love an underdog, the unexpected victory sums up why I could never be a die hard football fan or for that matter a a major fan of any sports team. The English Premier League has more or less been dominated by the same teams since its start, the only way a club seems to be able to challenge is when some billionaire decides that they too want to play at being a football club owner. And that is nothing but bad news for football fans. That means unless your club wins the jackpot, the life of a football fan is a pretty hopeless place to be. If you observe fandom culture you see a bunch of people’s who people perspective of success and failure in their own life is based on a bunch of young rich men who can get a ball to go into the back of a net. A bad football team is like a friend who is a complete deadbeat losers who is too pig-headed to make changes in their life. You give them advice, invite them to parties, encourage them to go running with you and send them job they might be good at, but frustratingly no matter how much you support them, they are still a loser. Don’t believe that a football fan really connects and sees themselves as part of the team? How many of them refer to their club as ‘We’. I only use the term ‘we’ to claim credit, when I have actually been involved. And the problem with basing your success on others is that you have more chance of losing and feel down. And no matter how much the fans can tell themselves that they are an important feature of their club, they have little to no impact on the success of their club. But winning creates a false sense of achievement. You will hear how ‘we’ have won and then what follows is much drinking and celebrating into the night. And there is nothing wrong in letting of steam when you worked so hard. But you didn’t win anything! You watched someone else winning. And this is worrying because there are thousands, millions of people living their life through someone else and are oblivious to their own life. One of the most empowering things for a Sports fan is to cancel Sky Sports, forget about getting a season ticket for next year and deciding how you can start winning in your own life. There is nothing wrong with sport as a whole – they have their place to see a bit of competition, teach about team work and encourage a healthy lifestyle. You know you have escaped this curse if you no longer cry when your team loses. I always remember when I was trying to comfort a friend who was a Liverpool fan when they lost in the Champions League Semi-finals many years ago. I made the mistake of saying it “was only a game”. “It’s only a game!” he screamed “It’s more than that”. Actually yes it is only a game – though I didn’t say that because when a football fan is in heat, it is like dealing with an irrational child who can’t be reasoned with. In one world you live a long, happy healthy life with your family. All your dreams come true. But as your life starts getting better, your team gets worse and worse. Five years later you couldn’t be more happier, but your team is playing conference football. In the other world your life is bad – you have a bad upbringing, your marriage is a failure, your children despise you and you work endless crap jobs to make ends meet, until you die from an early premature, death. But on the positive of all this your team had nothing but success – every game was a master piece, all the best players wanted to play for your team and the atmosphere in the stadium for all games was electric. Which would you rather have. Point proven.